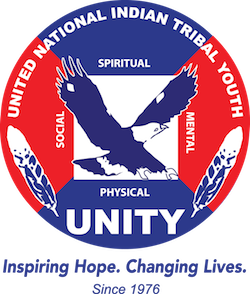 Now Accepting Applications for the 2019 UNITY Earth Ambassadors Program – UNITY, Inc.
United National Indian Tribal Youth, Inc,. (UNITY) has announced that the application process is now open for the 2019 class of its Earth Ambassadors Leadership Program. The environmental stewardship program (which was started in the 1990’s) was re-established in 2015 with the support of the Shakopee Mdewakanton Sioux Community. The 2019 class will attend training sessions and informational workshops to increase their knowledge of environmental issues affecting Native America, learn to serve as an ambassador to increase awareness of the issues affecting the environmental quality on Native lands, and promote the efforts to address environmental concerns within the nation’s Native communities. Each Earth Ambassador will host their own community service project showcasing the new skills and leadership tools they have gained throughout the year. Topics can focus on, but not limited to, recycling, conservation, regeneration, and restoration. In addition, the ambassadors will be provided special opportunities, coordinated through UNITY, to take their message to tribal and government agency representatives, and lawmakers. APPLICATION DEADLINE is March 15, 2019 by 5pm MST. BOTH online forms MUST BE Completed Before March 15th to be considered. Paper copies or email submissions are not accepted. Native youth must be between the ages of 14-24 years old and be able to provide proof of enrollment into a State or Federally Recognized Tribal Nation. Prior involvement in UNITY is not required. * A Complimentary Registration to the 2019 National UNITY Conference held in Orlando, Florida, where they will be officially recognized. * One Registration to the 2020 UNITY Midyear Conference to showcase their Project Final Reports and experiences. * Each student will also be available for UNITY Travel Scholarships and Complimentary lodging at the host hotels for each Conference. All incentives are based on funding availability, financial need and the Awardees participation in conference call meetings, requested ambassador duties and required report submissions. Winners will be announced in late April 2019.